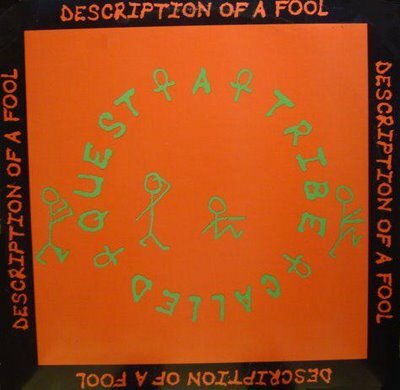 HEY stoopid, looking for some music to listen to, and don’t want to think to hard about it? You’d be a moron not to have a listen to my idiot’s guide to April Fools music, as a Spotify playlist. Click here to listen, and there’s a free iPhone for every listener. IF YOU knew up and coming band Peggy Sue, then you’d know why I feel blue, without Peggy, my Peggy Sue. Because the group, formerly known as Peggy Sue And The Pirates, fuse the warm drones and rich instrumentation of contemporary folk a la Mumford And Sons with angular punk and indie rock akin to Blood Red Shoes on their debut Fossils And Other Phantoms. As a result, the group throw enough grit into the mix to make this a sturdy offering – with enough solid tracks like the Sons And Daughters-esque Yo Mama standing alongside more trad strummers like Watchmen. 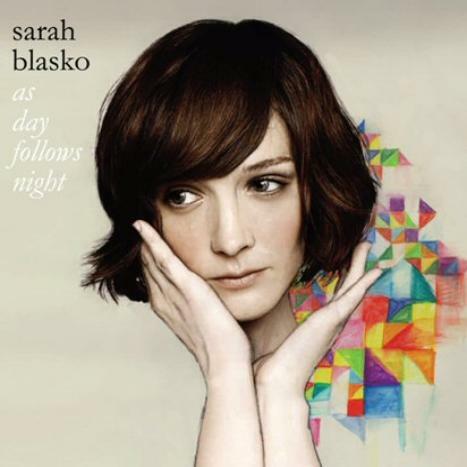 SINGER songwriter Sarah Blasko has been dubbed Girldiohead – and although there’s not a guitar riff or electronic experimentation in sight, her new LP As Day Follows Night shows you why. Because Australian pianist Blasko, like Thom Yorke et al, comes across as miserable as a damp bloodhound at times. However just like mardy old Radiohead, it’s not necessarily a bad thing – there’s plenty of gentle orchestral gorgeousness here, and Blasko has an enchanting breathy loveliness to her vocals – but As Day Follows Night could still do with a little more light and shade over the LP’s run for my liking. 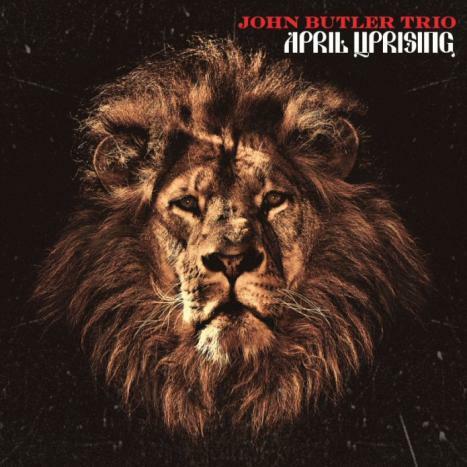 APRIL Uprising, Australian band The John Butler Trio’s fifth album, sees the group with a spring in its step. Taking the term roots rock literally – the subject matter for April Uprising is band leader John Butler’s family tree – the group riotously plough through a collection littered with fluid guitar licks, meandering solos and extended jams. And this upbeat jam rock feel is fused with elements of reggae, blues, funk and surf, bringing to mind acts as diverse as Red Hot Chili Peppers and G Love And Special Sauce. Although the album may be a tad unwieldy at 15 tracks long, the Antipodean act are at their irresistible best on tracks like Don’t Wanna See Your Face and One Way Road. When experimental rock band Yourcodenameis:Milo folded, the last thing fans of the cult band would have expected from guitarist Justin Lockey would be radio-friendly Coldplay-style alt rock such as White Belt Yellow Tag. But Methods does point towards the mainstream, and does it well – propelling the group upwards and outwards with the drive of Doves and a soaring emotional quality akin to Chris Martin’s work across this workmanlike debut. 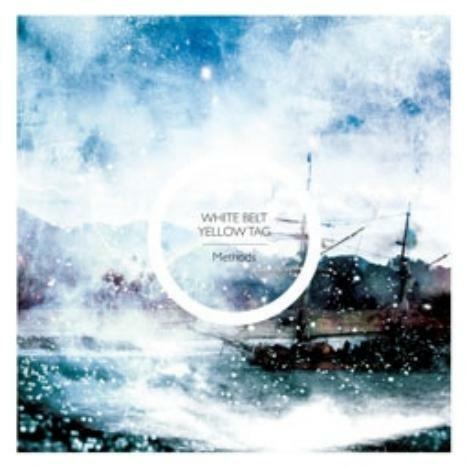 With a smattering of sturdy singles such as Remains and Always And Echoes, White Belt Yellow Tag deserve to elbow their way onto the airwaves. 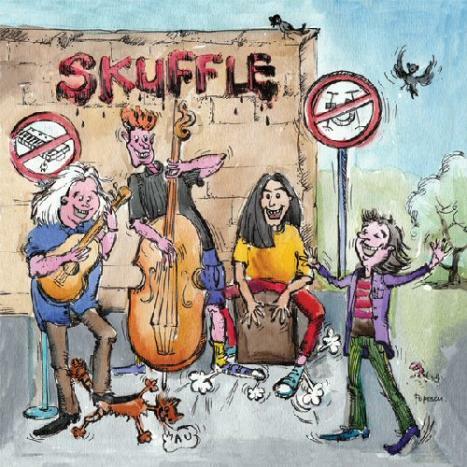 THE tracks on busking band Skuffle’s debut may normally be turned up to 11 – but the group manage to make enough noise with the 16 rock anthems unplugged. The acoustic arrangements of the tracks here – such as AC/DC’s Back In Black, Deep Purple’s Black Night, The Rolling Stones’s Jumping Jack Flash, Cream’s Sunshine Of Your Love and The Beatles’s Come Together – are all pretty faithful, and vocalist Sean Kingsley, while possessing a powerful voice, does ape each cover’s original style. But it matters not – the group’s self-confessed mission statement is to get people to revisit the originals, and to pick up their own guitars and have a bit of fun, something the four-piece clearly are here. And on top of this – no offence to that tramp and his tin whistle – I’ve yet to come across better buskers in Loughborough’s Market Place. WHILE an album remains elusive, London live IDM band Three Trapped Tigers have a third EP, EP3, out on Monday – and it’s well worth raiding the kitty for. 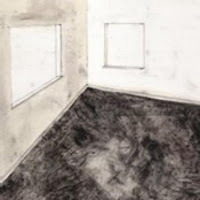 A post-rock band whose goal is to reproduce the electronica of acts like Autechre and Aphex Twin on standard guitar, keyboards, bass and drums instrumentation, and three releases in, following EP and EP2, the sound is close to being honed. The group build songs they way the people of Babel built towers, with rising and falling drumbeats and percussion, irregular guitar, synth drones and vocal moans creating an engaging experimental cacophony. 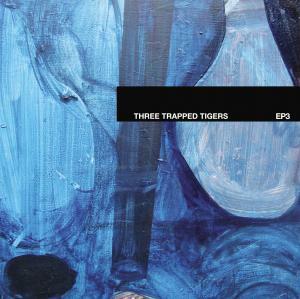 I for one can’t wait for Three Trapped Tigers to let loose with a full album.